When building a new home, the plan is for the home to last for decades. With such a large investment, it’s important that no corners are cut when it comes to building the home. So, when installing your new home gutter system, it only makes sense to work with the best new installation company around. Your search should stop with Minnesota Leafless Gutters, your premier new home gutter installation company. Seamless Custom Fit Gutters – New gutters are supposed to blend into the overall look of your home. Thanks to the seamless fit of our new home gutters, our professional installation crew will make sure that your new gutters fit perfectly to your house. This will help ensure that your home stays protected from rain, snow and ice. Minnesota sees its fair share of tough weather each year, which makes it even more critical that your new gutter system is built to last. When building a new home, homeowners often become overwhelmed and stressed during the build. At Minnesota Leafless Gutters, we have a passion for making the gutter installation process as simple as possible for our clients. First and foremost, we offer a free gutter consultation that will go over the costs around your new home gutter installation. What you’ll quickly notice is that our costs are very affordable and competitive in the market. 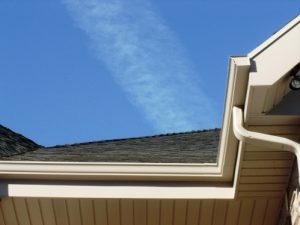 To top things off, we offer our clients a wide range of color and finish options to choose from so that they are 100% satisfied with their new home gutter system. Our gutter installation team has the experience and attention to detail to get your installation done right the first time. Last but not least, all of our new home gutter installation projects are completed on time and a mess is never left behind. At Minnesota Leafless Gutters, we’re here to help you decide on the right gutter system for you. We offer gutter systems in three types of material. Choose between our copper, aluminum or steel gutter systems. Depending on your price range and life expectancy needs, we’ll help you make this decision if you aren’t quite sure. Building a home is a difficult process, but the end result is definitely worth it. To help take some stress off of your plate, let our team at Minnesota Leafless Gutters handle your gutter needs. We’re a premier new home gutter installation company ready to tackle your new home gutter system as soon as you need us. To learn more about our seamless gutter options or to request a free gutter consultation, give us a call today at (612) 221-0362 or email mnleaflessgutters@gmail.com.